Though chemotherapy might kill most of the cancer, tiny populations of drug-resistant cancer cells manage to survive and propagate. Because of advances in drug design and precision medicine, researchers have been able to target certain molecules within a cell at the root of a particular disease and to develop specific therapies to undo their damages. Today, precision targeting combines therapy decisions with molecular insights to offer hope after a life-changing cancer diagnosis. But there’s a dark side to cancer-killing drugs designed to match distinct cancer mutations like a key into a lock. Some cancers that initially respond to targeted chemotherapy become treatment-resistant – and the drug itself may not be the culprit. New research helps explain how therapy-resistant cancers arise, findings with important implications for the future of cancer therapy. It shows how hidden, subtle layers of regulation – epigenetics – control the activity of genes to produce drug-resistant surviving cells. A common feature of cancer across many tumor types is that patients fall back into a state of illness after apparent recovery. My cancer systems biology team at the University of California, Merced, is tackling diagnosis and treatment of therapy-resistant cancers by elucidating the network of changes within cells as a way to identify new drug targets and circumvent cancer resistance. It is well established that cancer is a disease of our genes. However, resistance to therapy might go beyond cancer mutations that usually alter the function of genes. It may not be new mutations that are causing resistance to drugs. The DNA can stay the same, but cancer cells adapt to therapy and outsmart the drugs by switching their gene activity. 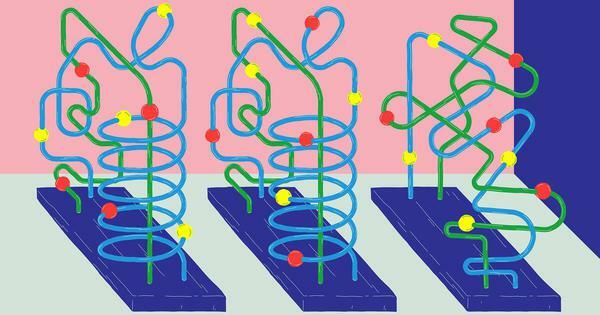 While such adaptations do not affect the DNA itself, a hidden layer of regulation controlling the activity of genes – epigenetic signals – is responsible for whether cancer cells survive or not, despite the drug a patient is taking. 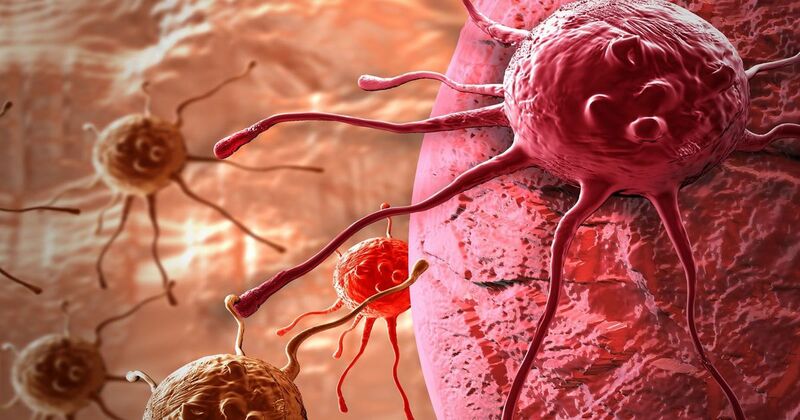 By targeting this hidden program, one can overcome deadly cancer resistance. To understand how cancer becomes treatment-resistant, my research team at the Systems Biology and Cancer Metabolism Lab at UC Merced compared genetic and metabolic pathways in treatment-responsive and treatment-resistant melanomas. Melanoma is a cancer that originates in melanocytes, the cells that produce the skin-color pigment melanin. Though not the most common form of skin cancer, melanoma is the most aggressive. And if it’s not caught and treated early, it’s also among the deadliest. Cancer can be triggered by different causes. Melanoma is usually induced by the sun, by dangerous ultraviolet light damage. In the majority of cases, UV damage leaves a unique mutational footprint behind and as a result unstoppable cell proliferation is induced. UV damage gives rise to point mutations – changes in a single letter of the 3 billion letter human genome. These mutations can interfere with signals that tell cells when to grow and divide and when to stop. Mutations in a protein called BRAF, a major signaling regulator, cause growth signals to be stuck in the “on” position and drive cancer development. Though scientists have managed to come up with drugs that target and turn off aberrant BRAF signaling, cancer cells are clever. They learn to adapt to these BRAF-inhibitors. Today, many patients respond to cancer treatment very positively at first. However, unfortunately many ultimately develop resistance and metastases. Though chemotherapy might kill most of the cancer, tiny populations of drug-resistant cancer cells manage to survive and propagate. Unlike the more familiar case of antibiotic-resistant bacteria, where genetic mutations give rise to resistance, many adaptations in treatment-resistant cancers aren’t the result of mutation. Instead, cancer cells adapt to therapy and outsmart the drugs. Melanoma is able circumvent BRAF inhibitors not by changing the genes themselves, but by changing gene activity. Some of the genes with reduced activity were supposed to be in close communication with BRAF and safeguarding its targets, the mutated protein that gave rise to the cancer and the main target of chemotherapy. If essential off switches are lost, they can trigger the tumor cells to divide despite presence of inhibitors. The resistant cells managed to evolve in a way to bypass the signaling blockade or come up with a new way to maintain proliferation. Genes with increased activity are in metabolic pathways that allowed cancer cells to bypass BRAF altogether and continue to grow and divide. Cancer cells had essentially figured out how to survive by rewiring their metabolism in response to chemotherapy. The research explains how tumors evolve and cause cancer resistance to drugs designed to match the patient’s unique genomic makeup. Daunting as this may sound, it actually offers hope to scientists and clinicians who want to treat chemo-resistant cancers. The research brought forward valuable tools that will enable us to catch new forms of disease resistance before treatment regiments enter clinical trials. The writer is assistant professor of systems biology and cancer metabolism at the University of California, Merced. This article was first published on The Conversation.